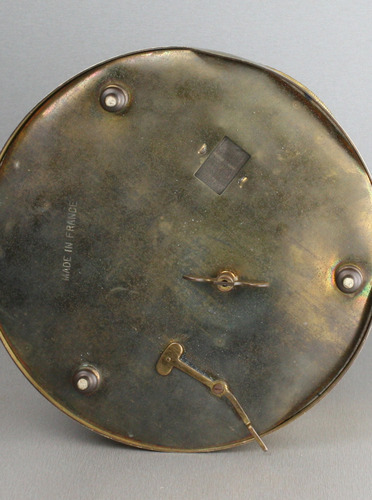 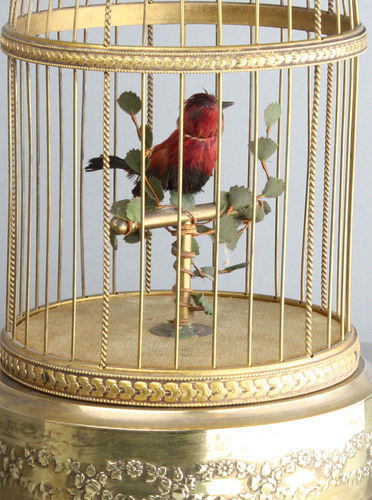 When wound by the captive key and start/stop lever actuated, the finely detailed bird on perch begins to sing a popular and melodically pleasing continuous song, moving head, beak and tailfeather until such time the stop is used to bring the performance to a close. The bird with very good layered feathered plumage in okra red, upon turned gilt brass T perch, on a green velvet covered base, under a circular domed cage, with hoop and boss top. 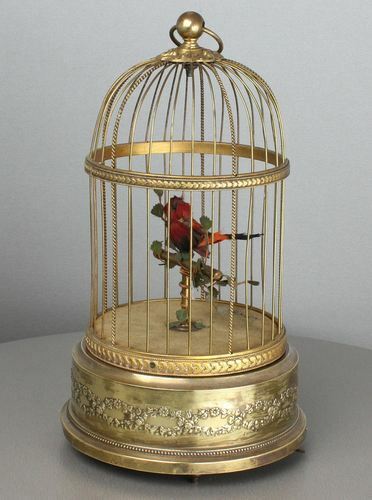 The cage has a pressed and tooled intermediate band with foliate detail, a repeating base band and the base of polished gilt metal with pressed double helix bands of floral garlands and leaves, plinth base profile, on three turned feet. 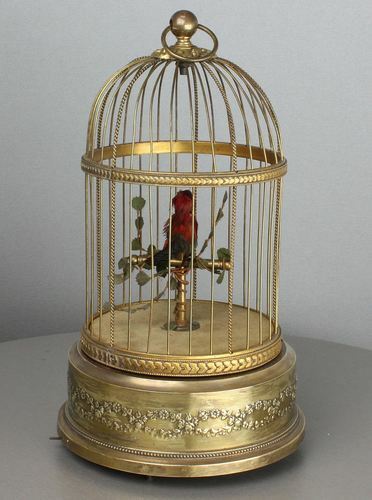 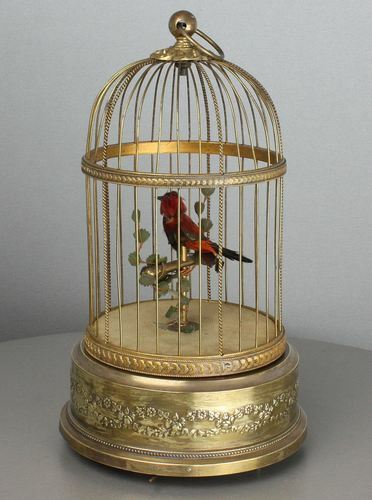 One of the most popular and pleasing singing bird cage models ever produced, this example is one of those first treasures from Bontems which forced later German makers to copy the design during the mid 20th century. 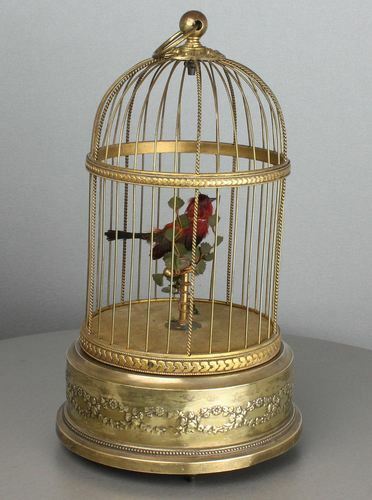 The movement is compact and reliable, the bird action beautifully executed and the song of high-end melodic phrase for a comforting sound on the ear. 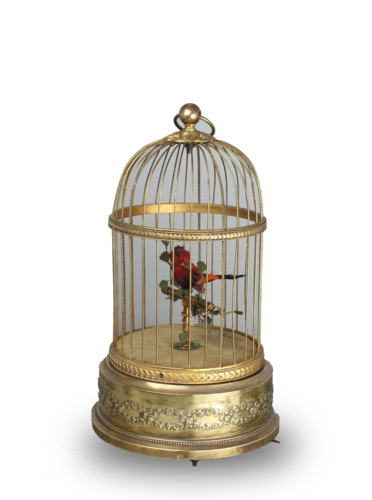 These small 1920s singing birds-in-cages are the perfect finishing touch to an interior detail, and at nearly 100 years old, built to secure trust in its capacity for long-lasting service.